Why do I talk frankly about management? 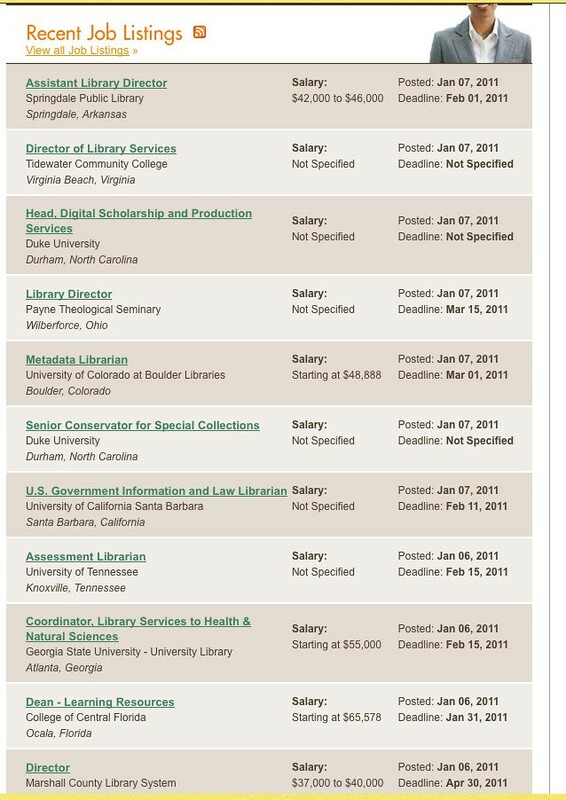 That’s is what the ALA JobLIST looked like on Friday, January 7, 2011, about 5:15 EST. Of the 15 jobs on page 1, 5 are for Directors. One’s an Assistant Director. One’s a Dean. Three are Coordinators, Heads, or “Senior” positions. Only 5 are for non-management positions.